When we first arrived in Bangkok we’d read about restaurants near the Victory Monument area selling boat noodles (known in Thai as Kway tiew reua). Boat noodles are a version of noodle soup with rich distinctive flavours. 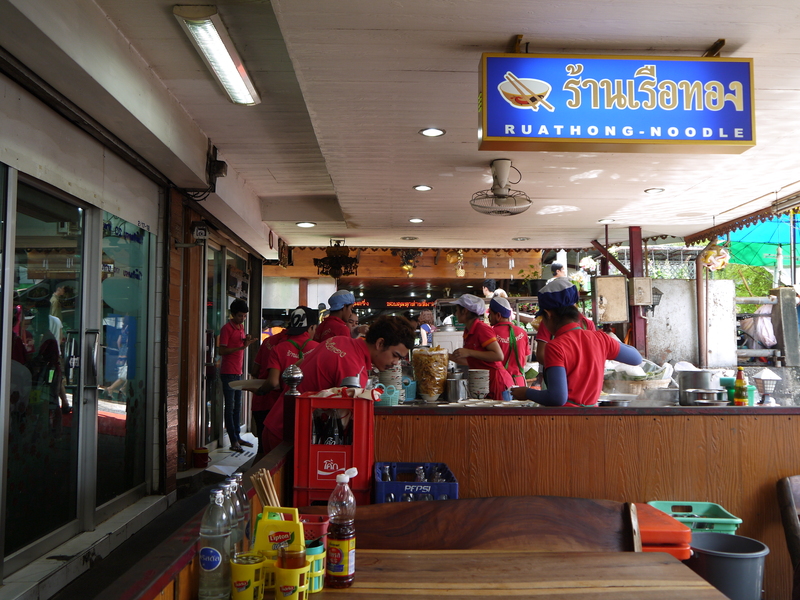 Originally the noodles were sold in floating markets (from boats – hence the name) in central Thailand. We had tried to find the restaurants a couple of times but couldn’t locate them. Finally, last week after our trip to immigration for a visa extension we tried again. And we found the place! The restaurant we had our boat noodles at. 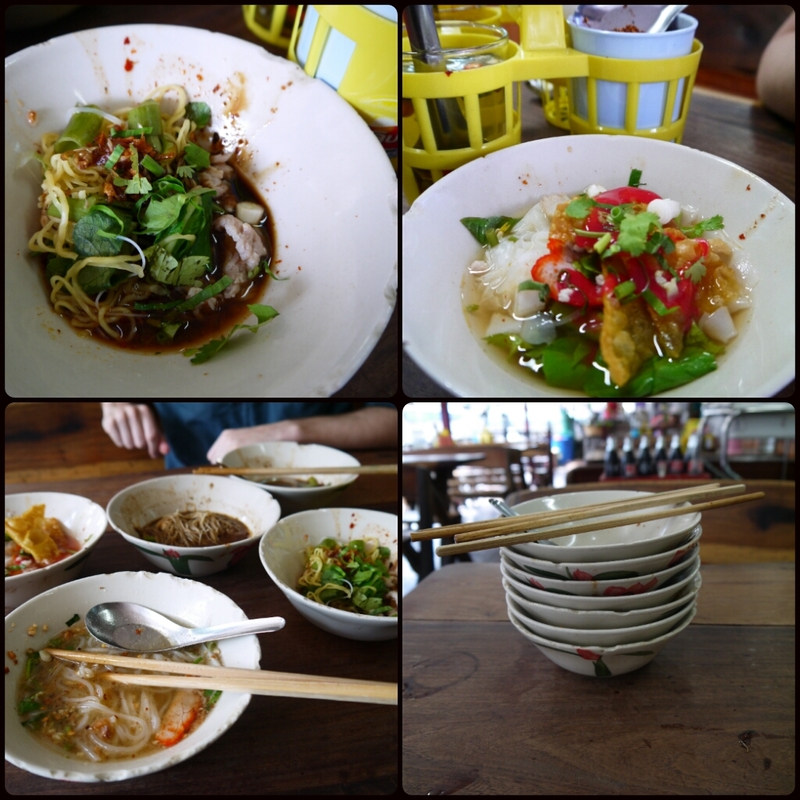 We hadn’t really known what to expect apart from the bowls would be small quantities but only 10 Baht each. What we found was a unique, and delicious way of getting to try various different types of noodle soup. Our selection of noodles and the pile of plates at the end! The odd thing for us was continually ordering more bowls. It felt strange when normally we just order what we want at the beginning and that’s that. But here it was completely normal to keep ordering bowls of soup until we were full. In fact, it’s apparently a kind of status symbol to get your pile of empty bowls as high as you can. We’ll be aiming to better our record next time – from the piles that the Thais had, we’ve got some way to go!